NOTICE: Development of MoneyPie has been suspended. MoneyPie is "good enough" for our use. Being a free product, the bills just don't get paid putting more time and effort into this project. We will continue to repsond to support issues and help users as needed but no new features are scheduled for the foreseeable future. We'll of course re-evalute this decision if donations resume. Lifetime donations to this project to-date total LESS then $100. If your a current user and have never contributed, consider what you are getting and what your alternatives are, would you like to see development resume? Then please donate! Alot of hard work goes into developing MoneyPie, If you use it, please support it! Thanks!! 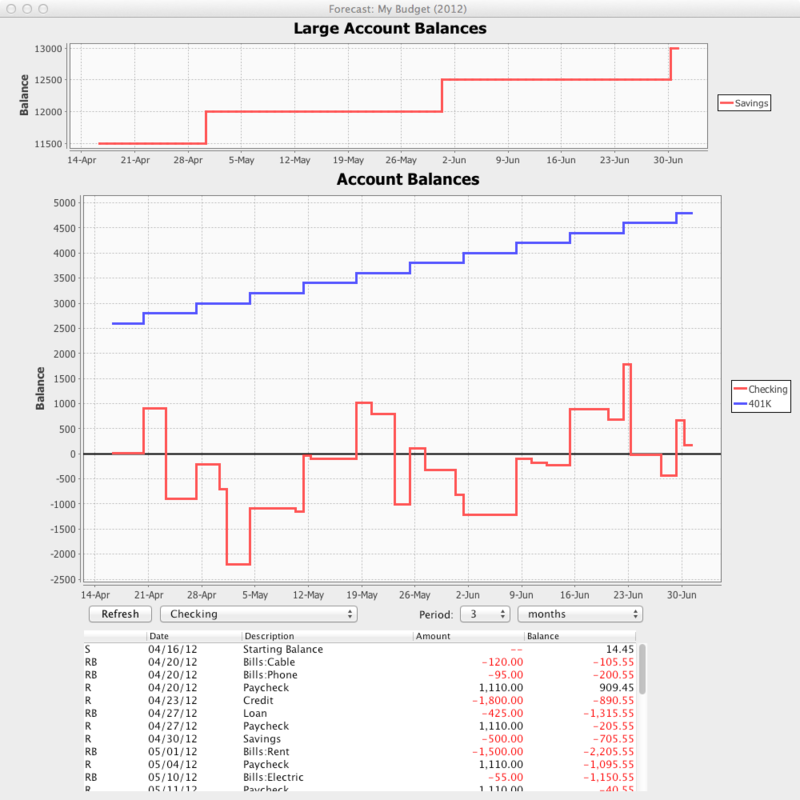 Personal finance manager Moneydance ® offers a feature to manage a budget but the default interface is only suitable for basic entry and value editing. Maintaining more complex budgets can become difficult without seeing the effects of adjustments. Our interface will allow you to perform "Envelope Budgeting" using the built in budget! Moneydance ® offers the flexibility to generate your own preferreed reports to track expenses. Our extension highlights how your actual spending compares to your budget so you can dynamically adjust and balance your budget without flipping back and forth between interfaces. For additional convenience, we've baked in an improved balance forecaster that integrates with your budget. Add zero value reminders to Moneydance ® and the appropriate month's budget value will be used in the prediction. An expense report had also been included, allowing you to export monthly Budget/Actual spending in XML. We will be releasing an iPhone App at a later date to view and chart exported data. This is ideal for sharing with interested parties (significant others). There are no current plans to allow editing budgets from the iPhone App. Add the extension to Moneydance ® by choosing Add.. or Manage Extensions.. from the Extensions menu (depending on which version of Moneydance ® you use). IMPORTANT: For balance forecasting to work properly, you will need to set a "MAIN" acount in MoneyPie Preferences.